Batman: The Animated Series is the Dark Knight at his very best, more faithful and entertaining than any of the films or that bewildering Gotham TV show that’s recently appeared. 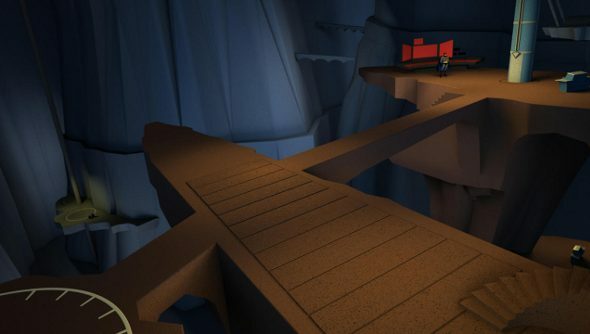 Come this winter, owners of VR devices like the Oculus Rift will be able to step into the Caped Crusader’s Batcave, based on the Animated Series version. A “narrative experience” rather than an objective-based game, this VR Batcave is being designed by visual effects company Otoy Inc. along with Bruce Timm, creator of the “Timmverse”, DC’s animated universe. The Batcave will be available on Samsung Galaxy Gear VR and the glasses-free light displays that are being developed. “It’s super-cool, eye-popping stuff, and fans are going to love it. We can’t wait for them to have the chance to see the Batcave from the show again — for the very first time,” said Sam Register, president of Warner Bros. Animation. The VR project is already in development, and the first release is expected this winter. Now, if they could let me watch the cartoon on one of the giant monitors in the Batcave, I don’t think I’d ever leave.